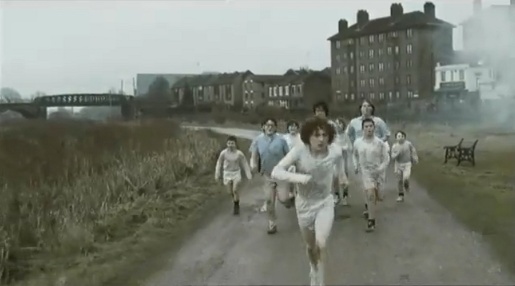 The Temper Trap, a Melbourne band with a growing international reputation, have released a music video for their single, “Love Lost”, from the debut album, “Condition”, featuring schoolboys and schoolgirls jogging through a miserable English day. A physical education teacher barks out order, sending the boys in white through a gruelling exercise, briefly joined by girls in red uniforms. Filming was shot by director Dougal Wilson via Blink Productions, London, with director of photography Lasse Frank. Check out also Hugh Mitton’s winning entry in the 2009 music video contest run by Temper Trap via Genero TV. The video was compiled from 17000 still images.